Are you feeling the aches and pains of getting older? Do your knees or knuckles hurt? Let’s face it, we’re all getting older. But now we can do something about it. Stave off those arthritic aches and pains. Not pain killers...Do something to maintain healthy joints! Several recent medical research studies have shown that dehydroepiandrosterone (DHEA) helps to protect against arthritis. The medical research findings showed that DHEA could potentially help stave off the development of and progression of osteoarthritis (OA) because DHEA allows for enhanced cartilage formation. (1) That’s great news ! It’s a good idea to ask your health provider about DHEA. If he or she is not familiar with the research, be sure to share these findings and information about Twist 25 DHEA cream being a more beneficial way to use DHEA than oral DHEA. 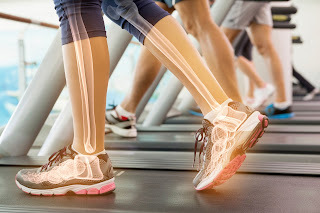 After considering these medical research findings that show DHEA helps support bone strength, cartilage and connective tissue formation, while it also reduces inflammation, it makes sense to conclude that DHEA is a great way to combat arthritis. Fight those aches and pains !We invite you to use Twist 25 DHEA Cream twice daily for three weeks and see for yourself. Naturally maintain youthful energy to look your best and feel your best!